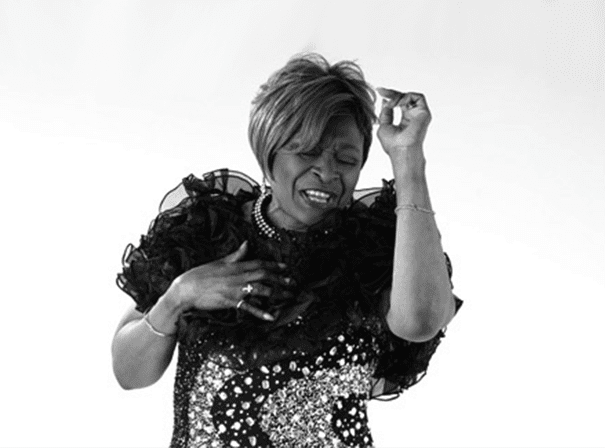 Born in North Carolina, USA, Linda Lee Hopkins is a singer and songwriter specialising in rhythm & blues, gospel, jazz, house and many other genres. Based in Paris for the last sixteen years, she has graced the stages of world-renown clubs, TV, radio, and films. With her warm and communicative voice, she has sung live with the likes of Gloria Gaynor, Percy Sledge, Al Jarreau and Michael Bolton. She has done demo recordings for the great Ray Charles, where she appeared as a back-up singer on his album Strong Love Affair, and has been the opening act for Prince at Bercy (Paris). In France she has performed on records produced by Bob Sinclar, Marc Cerrone, Michael Jonasz, Ophelie Winter, Bernard Lavilliers, Priscilla and many more. Lisa also recorded an album in 1998, produced by Universal and entitled Propeace, selling 40,000 copies in the first month. Hopkins has released several singles such as ‘Got To Be With U’ in collaboration with Dave Storm (2004), ‘All About The Paper’ featuring Harlem Hustlers (2009) and ‘The Beat Goes On’ in cahoots with Bob Sinclar (2009). She has also recorded with world renowned DJs such as Dave Storm, Mr Mike, Pino Arduini and Yves La Roche. Linda has performed in over thirty countries in the course of her career and she continues to spread joy and love wherever she goes. Her elegance and style will have you mesmerised.